The New York Giants are making some changes on defense, as they have reportedly decided to move cornerback Dominique Rodgers-Cromartie to safety to compete with safety Darian Thompson for the starting job. This has been the consensus for some time now, but now it’s becoming a realistic arrangements that may lead to the Giants taking a corner later in the draft. With a new coaching staff and some new schemes, the #Giants are moving pieces around: CB Dominique Rodgers-Cromartie is moving to safety, I’m told. He’ll compete with starter Darian Thompson. The Giants’ new coaching staff with bring defensive coordinator James Bettcher to the team, a 3-4 scheme specialist. Allowing DRC to move to safety will prolong his career, and enable him to continue playing at a high level for at least another 2-3 years. His elite speed and ball-hawk abilities could be a significant upgrade at safety if Thompson can’t make a big jump in 2018. Thompson was coming off a season-ending foot injury in 2017, forcing him to regain his form coming into the NFL from Boise State where he recorded 19 interceptions in four-seasons. 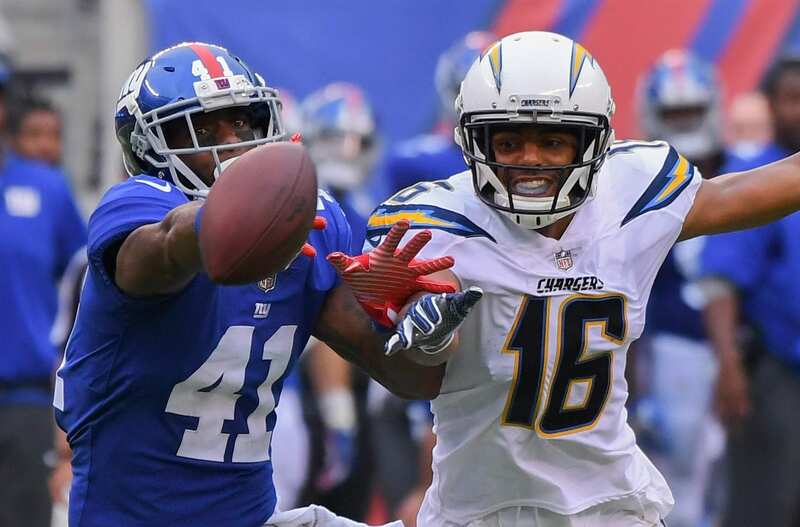 The move for DRC should give Thompson some healthy competition in training camp, and it will enable Bettcher to pick the hot-hand on any given day. Rodgers-Cromartie can also be slid up into the slot position where he is one of the best slot-corners in the NFL. His elite speed and strength will provide a dynamic tool on defense moving forward. The question will be his contract, and if the Giants can keep him on the team for less than a $8.5 cap-hit he currently costs.